We provide the best Magicians in London who will come to your home or hired venue providing you with great entertainment, fun acts, a mesmerizing magic show and activities at your birthday parties, communions and other children’s parties. Professional magic: This package is for those that would like more elaborate entertainment with interactive activities, great humour and tricks that will leave you in amazement. Our Magicians make things disappear, objects levitate, items change colour and more…. If that isn’t enough our magicians make animals disappear…..and reappear! The ideal length for this show is one hour. It appeases the inquisitive child’s minds and all Magicians’ like assistants so the birthday child or child of honour will have a leading role in the show too! Minidisco: After presenting themselves in a fun and lively manner we have choreography ready to contemporary music and also offer games centred on the music!This package offers the option of ending the celebration with 15-20 minutes of children’s magic or fashion makeup. Clown show plus magic: The most fun clown presentation with typical clown jokes& clumsiness! It is always more fun with two rather than just one.We offer the option of ending the show with a bit of magic that will be sure to bring lots of laughs. Bring some hilarity to your party with one – or more – of our clowns. Gymkana plus professional magic: This is our most exclusive option. We begin by presenting the activity, a game show, followed by a magic show that will be sure to surprise the whole family. 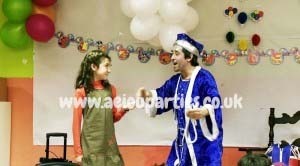 Our magic shows can include clowns, puppets, stories, mini-disco and much more which works well for large groups. 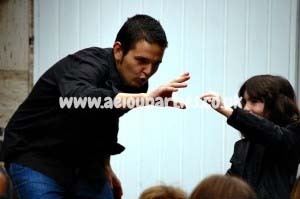 Children’s magic workshops: Is your son or daughter an aspiring Magician? 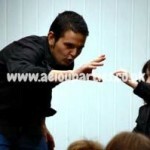 Why not hire one of our Magicians for a Magic workshop, where your kidswill learn basic tricks toimpress their friends! Magicians not only perform tricks, but they can also teach balloon modelling too. Call us to find out more information. Other activities: Scientific entertainments, puppet shows, storytelling,… We also have bouncy castles, decorations, sound systems, cakes and catering! Don’t hesitate to contact us for more information. You can also take a look at our affordable prices. We are always open to hearing your suggestions; we would love to make your children’s dreams come true! We bring the magic performances in London to you! 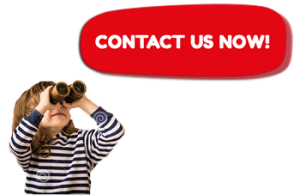 Contact us to enquire about our activities and options to choose from, including music, dancing, different types of magic, stories, puppets, science experiments, mini-discos, balloon modelling and face painting. 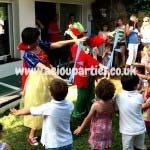 Our Magicians in London will make your party or event magical – your children, their friends and everybody present will be talking about the party forever!